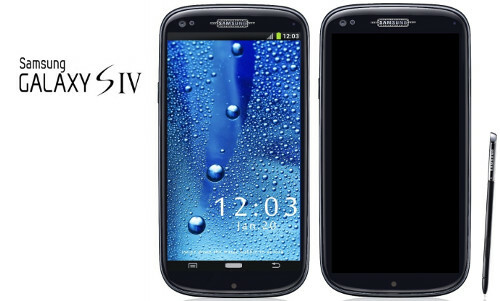 The Samsung Galaxy S4 is Samsung’s heavily rumored successor to the Galaxy S3 and it has popped up in rumors many times over the last few weeks. This time, the highly-anticipated Galaxy S4 has been spotted in benchmark logs, which confirm an Exynos 5 Octa CPU and Android 4.2.1 Jelly Bean for the smartphone. 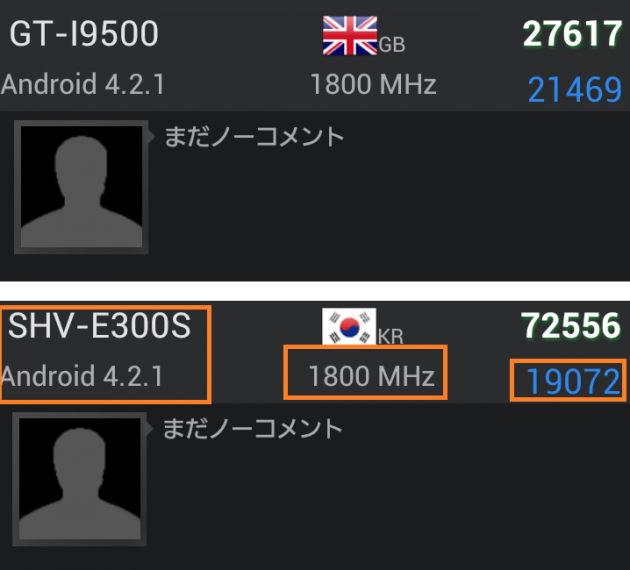 The numbers appeared on AnTuTu, a database of processor benchmark scores testing the performance of phones and tablets. 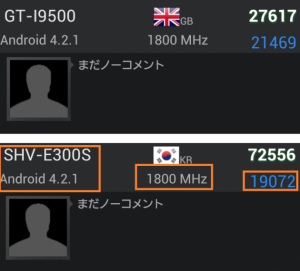 A Korean phone called the SHV-E300S and a British phone called the GT-I9500 both showed up in the results. They could be the local and intentional modes of Samsung Galaxy S4. The main focus here is the Exynos 5 Octa, the eight-core processor which will, according to this benchmark logs, certainly be featured on the Galaxy S4. It could well be the recently announced Samsung Exynos 5 Octa, an eight-core chip that switches between four beefy high-speed cores and four slower cores that use less power for everyday tasks. As for the OS, obviously Samsung will try to bring in the latest stable OS version Android 4.2.1 Jelly Bean to their users when it comes to their flagship device, and Samsung won’t disappoint on the operating system front when it comes out. 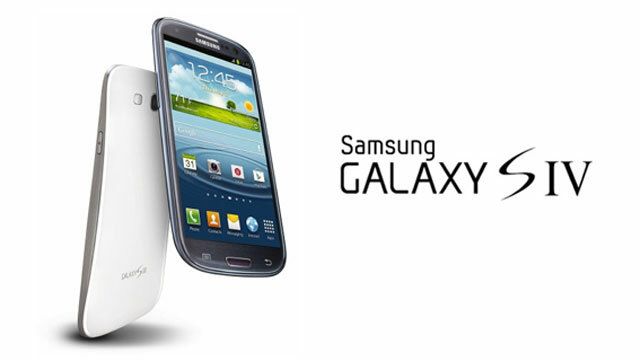 Aside from a cutting-edge processor, Galaxy S4 is also mooted to feature a 4.99-inch Super AMOLED display with a full HD resolution, a 13-megapixel camera, S-Pen stylus support and Galaxy Note and wireless charging capabilities. Many of those rumors suggested that Samsung would be announcing the Galaxy S4 at Mobile World Congress 2013 in Barcelona, but it appears that that may not be the case. 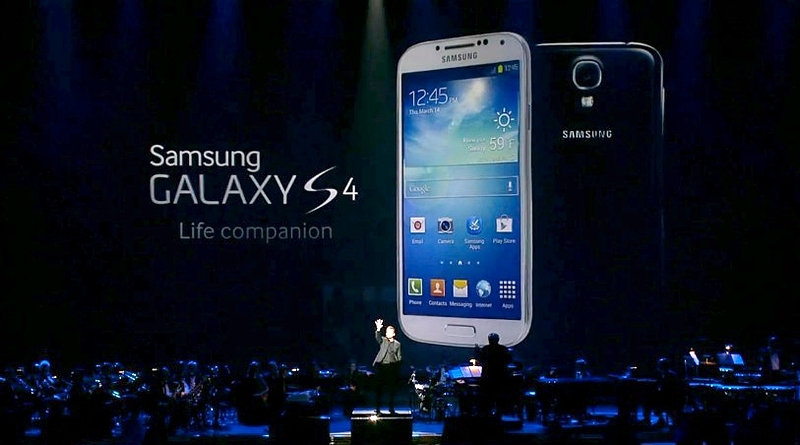 Samsung is hotly expected to announce the S4 in April at one of its unpacked events, followed by a global launch in early May.